Dr. Davis is an internationally recognized investigator who applies novel research methods to advance science regarding health and health policy for children, families and communities. 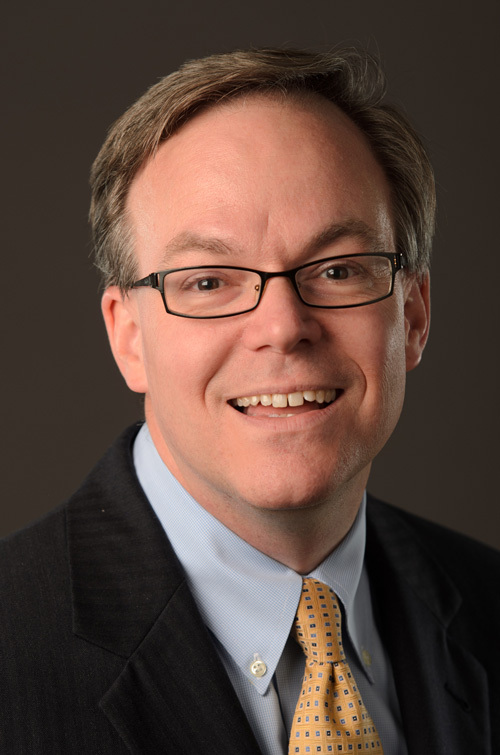 His overarching goal is to strengthen Lurie Children’s positive impact on communities by connecting excellent primary and subspecialty clinical care with population health and health policy, informed by top-notch research and complemented by evidence-based advocacy. His first major collaboration, Lurie Children’s Healthy Communities, addresses priority issues in Chicago such as social determinants of health, mental health, violence prevention, child maltreatment and children with special health care needs. He joined Lurie Children’s in 2016 from the University of Michigan, where he was Professor in both Pediatrics and Internal Medicine in the medical school, as well as in Health Management and Policy in the School of Public Health, and in Public Policy at the Gerald Ford School of Public Policy. Dr. Davis is spearheading the new Survey of Children’s Health in Chicago. Conducted in partnership with the Chicago Department of Public Health, the survey will measure health needs and public attitudes regarding mental health, child maltreatment and violence involving and affecting youth. 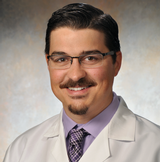 Patrick Seed, MD, PhD, is Head of the Division of Infectious Diseases at Ann & Robert H. Lurie Children’s Hospital. He also holds the Children’s Research Fund Chair in Basic Science at the Stanley Manne Children’s Research Institute at Lurie Children’s, and is a Research Professor of Pediatrics, Northwestern University Feinberg School of Medicine. His diverse research examines molecular mechanisms by which a child's immune system interacts with germs, including the body's own microorganisms, the microbiome. Dr. Seed leads Lurie Children’s Host-Microbial Interactions, Inflammation and Immunity Program, which aims to identify patient-specific immunologic therapies to improve health outcomes. His research is supported by the National Institutes of Health (NIH) and multiple foundations. Dr. Seed came to Lurie Children's from Duke University, where he served as an attending physician in Pediatric Infectious Diseases and was Associate Professor of Pediatrics, Molecular Genetics and Microbiology, and Surgery. Children’s Research Fund Chair in Basic Science Patrick Seed, MD, PhD, has conducted research showing babies who are colonized with Haemophilus, the bacteria that causes ear infections, have a greater chance of developing asthma in later life. This discovery could lead to early interventions and possibly a decrease in the incidence of asthma. Susanna McColley, MD, is Director of the Clinical and Translational Research Program at the Stanley Manne Children’s Research Institute, and Deputy Director for Clinical Research. She is Associate Director of the Cystic Fibrosis Center at Ann & Robert H. Lurie Children’s Hospital of Chicago. 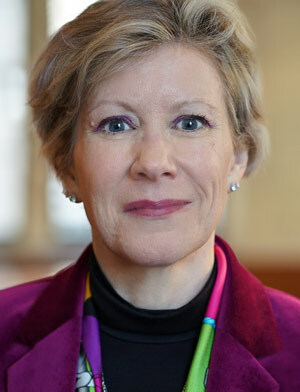 She also serves as Associate Clinical Director for Child Health at the Northwestern University Clinical and Translational Sciences Institute, and is a Professor of Pediatrics at Northwestern University Feinberg School of Medicine. Dr. McColley came to Lurie Children’s in 1994 from Johns Hopkins University as a pulmonologist in the Cystic Fibrosis Center. She is well known for her work in experimental therapeutics, and has served as site principal investigator for over 30 Phase II and Phase III clinical trials for new cystic fibrosis therapies. Ten-month-old Taylor was diagnosed with spinal muscular atrophy in the same week that the first effective treatment for this degenerative neuromuscular disease received FDA approval. The drug took effect almost immediately and halted progression of her disease. Lurie Children’s was the largest site in the U.S. for the clinical trial that proved the drug’s effectiveness. Thomas P. Shanley, MD, is the Chairman of the Department of Medicine at Ann & Robert H. Lurie Children’s Hospital of Chicago, as well as President & Chief Research Officer of the hospital’s Stanley Manne Children’s Research Institute. Dr. Shanley is also the Founders’ Board Centennial Professor and Chair of the Department of Pediatrics at Northwestern University Feinberg School of Medicine. He came to Lurie Children’s in August 2015 from the University of Michigan Medical School, where he served as Associate Dean for Clinical and Translational Research, Professor of Pediatrics and Communicable Diseases and Director of the Michigan Institute for Clinical and Health Research. As a clinician, Dr. Shanley specializes in the treatment of children with hypoxemic respiratory failure from lung disease and septic shock triggered by infection. 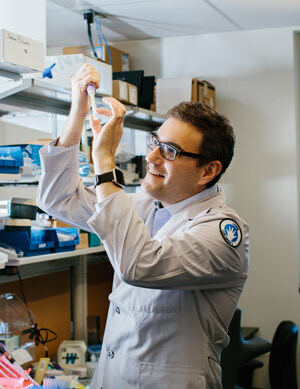 The broad goal of his research, spanning from basic science to translational and clinical work, is to improve understanding of the molecular basis of inflammatory diseases that afflict these critically ill young patients. 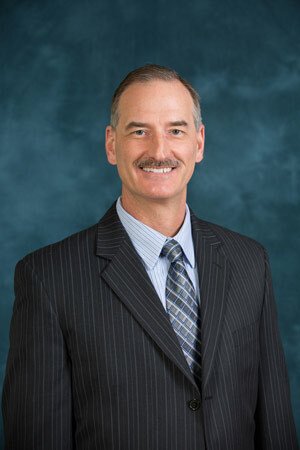 Dr. Shanley received his medical degree from the University of Chicago Pritzker School of Medicine. He completed his residency training at the Children’s Hospital of Philadelphia and his fellowship in pediatric critical care medicine at the University of Michigan. Amelia began having severe seizures shortly after birth. Her distraught parents brought her to Lurie Children’s, where specialists recognized Amelia might have a rare gene mutation which can lead to recurrent epileptic seizures in infants. Genetic testing helped to confirm the mutation and guide a specific treatment. Amelia is now nearly seizure-free, eating well and gaining weight. Dr. L. Nelson Sanchez-Pinto is a pediatric critical care physician, biomedical informatics specialist, and clinical data scientist. He is interested in discovering and evaluating data-driven phenotypes of critical illness by integrating clinical, physiologic, and multi-omics data. Dr. Sanchez-Pinto is particularly interested in developing data-driven approaches to study the complex interactions between the host response, the gut and lung microbiomes, and other clinical and genetic factors in patients with sepsis, ARDS, and multiple organ dysfunction syndrome. This endowed research scholar position was created by the Children’s Research Fund in 2001. It honors Bernard L. Mirkin, PhD, MD, founding director of the Children’s Memorial Research Center, now known as the Manne Research Institute. Dr. Mirkin passed away on August 13, 2007. For the years 2018 - 2019, the CRFJB is raising $220,000 to support the research of Dr. Jill Chang, a neonatologist at Ann & Robert H. Lurie Children’s Hospital of Chicago and faculty at Northwestern University. 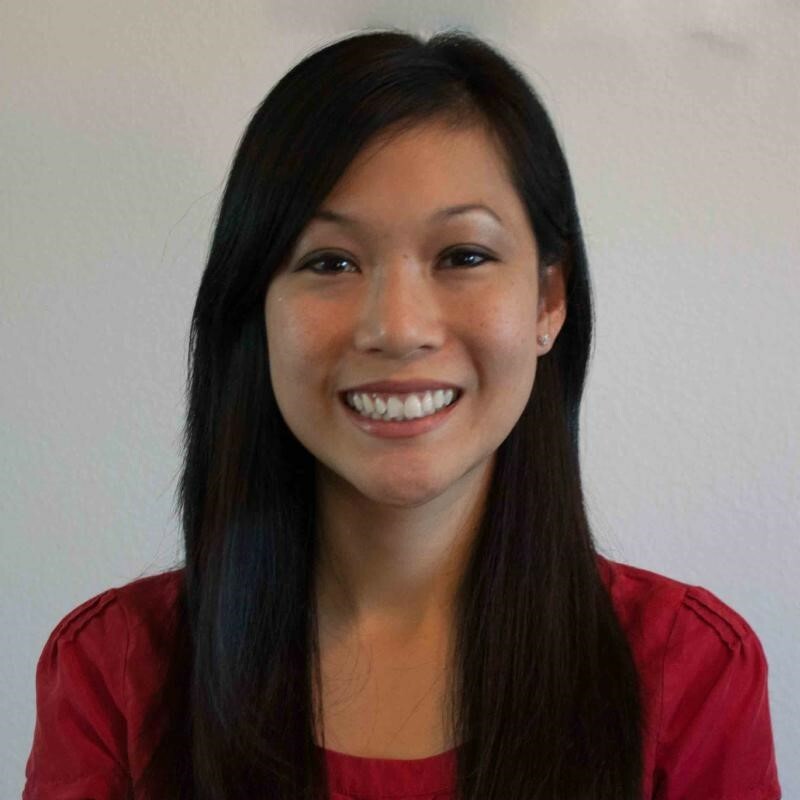 Dr. Chang’s mission is to study the role of perinatal brain injury on an infant’s motor development. She hopes to discovery how certain injury leads to conditions such as cerebral palsy, with the goal of early identification of at-risk babies and potential therapeutic intervention.